It’s important to have a party-ready updo that you can pull off in a cinch. The ideal look needs to convey the right amount of “wow factor” but shouldn’t compete with your outfit. Luckily, this half-up and half-down headband bun updo checks off all those boxes. Watch the video below to learn how to recreate this psychedelic DIY look. It’s bound to make an appearance in this year’s cycle of concert and festival scenes. You don’t have to have long locks to achieve this hairstyle. However, if you desire a bit of length, you can always add hair extension. You will, however, need plenty of hair ties and maybe a fine-tooth comb to tease your mane. 1. Curl your hair with a curling iron. 2. Part your hair into two sections, clipping the back portion away. 3. Split the front part of your hair into several tiny ponytails. You can create as many ponytails as you want. 4. Add texture to each ponytail by teasing, fluffing, braiding, or twisting them. 5. Pin the ponytails into tiny buns. Make sure each of the buns touch to avoid unsightly gaps. 6. 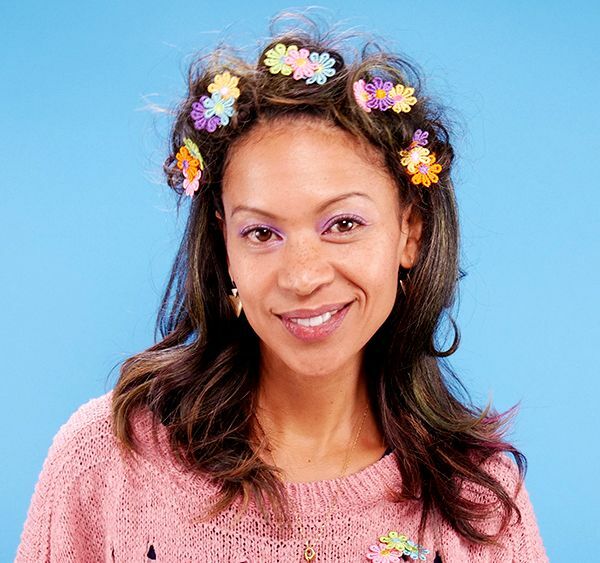 Create DIY hair pins by snipping flowers from the headband. 7. Grab three flowers and loop them through a hair pin. 8. Secure the flowers in place with a hair tie. 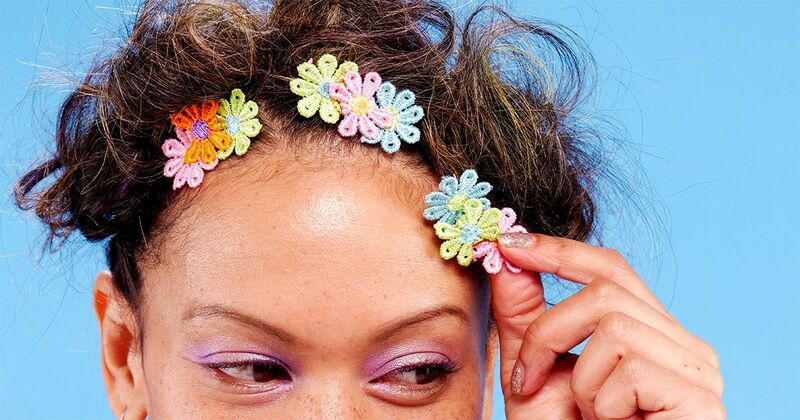 Repeat these steps to create as many DIY hair pins as you like. 9. Stick the DIY pins into each bun. 10. Release the back portion of your hair and style as usual.